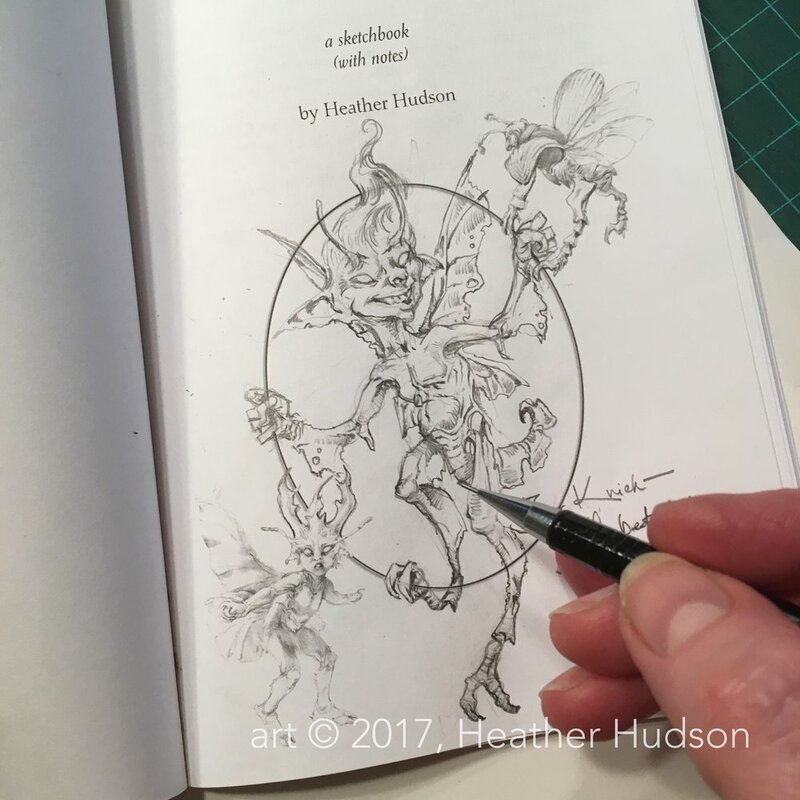 Each Friday this month I'm posting an original short fiction piece inspired by one of the fairies I've drawn for the Junefae artist challenge. I'm sharing them as general access posts on my Patreon page. Today's story is about the Cook's Cat Fae. All material on my Patreon is copyright 2015-2018, Heather Hudson. To learn more about my fae, read here. To read previous fairy stories from this month's Junefae challenge, read here and also read here. The Other Side of the Wood is my on-going world-building project, growing out of a sketchbook of the same name that I published a few years ago. I'm building the project on Patreon, which gives me both a place to publish and a forum to build community, and also (thank you, gentle patrons!) funds an extra cup of fancy coffee each month.